Looking for an alternative to Salto Inspired Access? ‍Salto needs a multitude of different local solutions ranging from ZigBee to SVN servers. Most companies operate entirely on a cloud-stack. No need for your office to work any different. Salto's enterprise system works with an on-premise server. 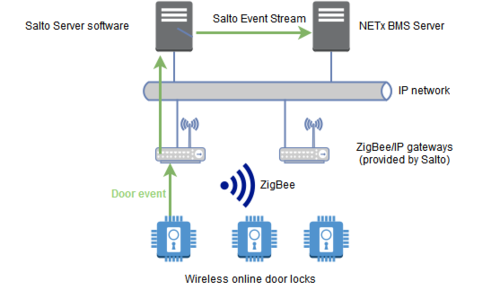 Salto needs a multitude of different local solutions ranging from ZigBee to SVN servers. Kisi's enterprise system starts with unit 1 and can be scaled up seamlessly. Kisi's system is truly online, controlled by the cloud and can be updated from anywhere. read "Why Kisi". As companies grow it's important to stay flexible in terms of what locks to use, there might be different countries or situation that require different solutions. Salto requires you to use their proprietary locks. Salto's lock is based on Salto's communication standard Kisi works vendor-neutral with any wired lock on the market. Kisi can work with any lock that is electronically connected. ‍Locks lock doors and are unlocked by (hopefully) the right people. How much optimization does it really need? As your company grows you want a future proof system and rely on a vendor that is always improving. For Salto - innovation means a new lock. Locks lock doors and are unlocked by (hopefully) the right people. How much optimization does it really need? For Kisi innovation means enabling new seamless & secure experiences in spaces using modern technologies including mobile, IoT or cloud. The facility experience - something Kisi is looking to disrupt with modern technology. 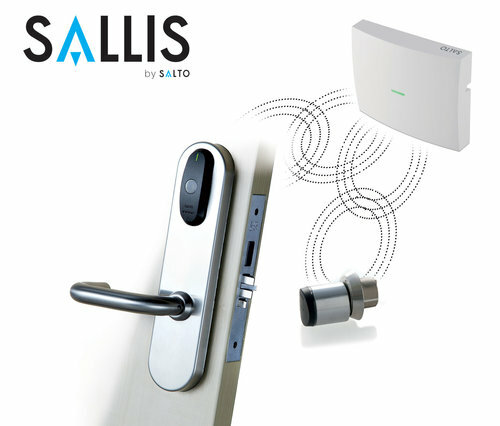 ‍Wireless locks made by Salto Security works with Access Control like Sallis, Salto KS, XS4 and others. Completely compatible with the SALTO XS4 escutcheon and wall reader range. Computer managed through SALTO ProAccess SPACE management software. User Friendly: End user decides how to receive a key: as a JustIN Mobile digital key or as a physical key card. Allows access rights extension or access rights changes instantly and remotely. Works on both iOS and Android smartphone devices. Give the possibility to the users to receive their key online, anytime and anywhere. Secure: Smartphone authentication technology for verifying a mobile user’s identity: PIN / Fingerprint. AES 128 bit communication and secure opening procedure with key received securely encrypted using SSL (Secure Socket Layer). Instant key updates or key cancellations. Real-time access right changes, audit trails, and blacklisting of lost keys. For a higher security level, no information is stored in the SALTO JustIN Cloud. 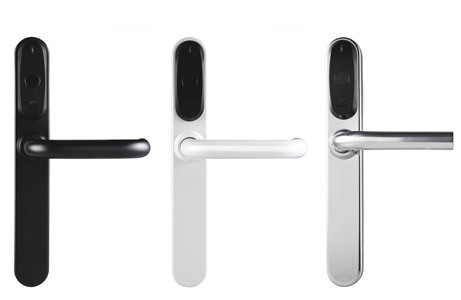 The advantages of the Salto system is that it is a wireless lock system that includes the credential side of things. No need for vulnerable HID readers. The disadvantages are mainly that you'd still need a local server and that it is not a fully cloud based system. The Salto system is a great option especially when used in multi-lock environments with many doors. Like for other mayor access control manufacturers, finding a pricing list for Salto locks online is not easy and you will ultimately have to rely on a custom quote. At Kisi we want to ensure maximum transparency on all aspects of our product, including its pricing, and while we do provide advantageous custom quotes for companies with specific needs, we also provide an overview of our simple pricing model.